Tyneisha and I met in undergrad at Rowan University. She and I weren’t immediate friends, but people in her circle knew people in my circle. Eventually, the friendship happened. When we graduated neither of us knew that we were going to the same graduate school. During orientation, we ran into each other and having not known anyone else, we got closer. Tyneisha’s determination was infectious. She does NOT play when it comes to what she wants. We had been talking about her perfect man even before we knew who he was. Several years later comes Jeremy, a computer guy who is the perfect calm to her extra-planning, type-A, uber-serious, fire sign. He’s literally perfect for her. That’s why when she got engaged, I knew I was coming to the wedding. I don’t support foolishness. When I moved to New York, I didn’t get a chance to be as hands on with the planning, but during the last few weeks, I got a chance to be there for my friend - and I took doing so, very serious. They had a hashtag #FallingforFlorence, which was cute, and surprisingly creative for a business girl and computer guy. During her bridal shoot, I steamed, draped, and pinned her into one of her gowns. During the wedding, I did the same with both dresses. She was a stunning bride and her groom was just as dapper as he wanted to be. This comes on the heels of the cover I styled for MunaLuchi Bride magazine - which was a hook up from Tyneisha who had been mentioned in the magazine a month prior for her engagement. 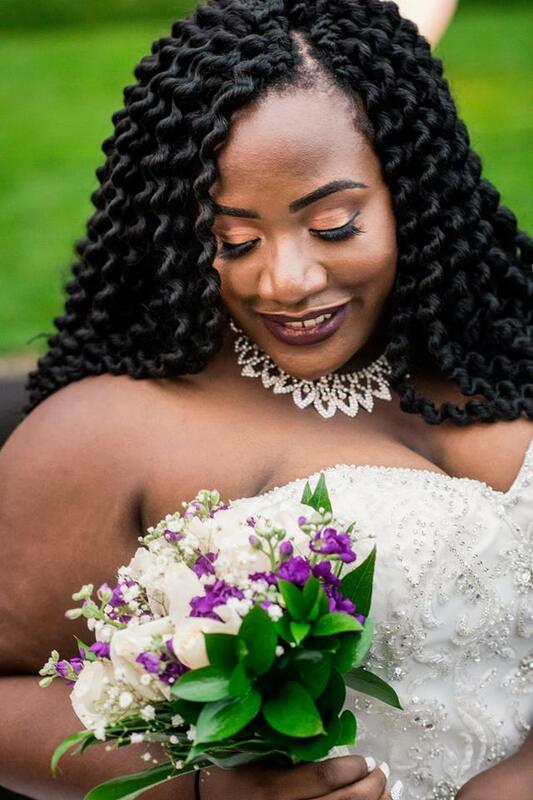 Get into these beautiful images of Tyneisha and Jeremy Florence photographed by my favorite new Husband and Wife Photography team Derrick and Sheronda Searight. Their work is impeccable. Check out their website here. Congratulations sis!